Times are changing, and wedding etiquette is not what it used to be. Because of new trends in fashion, along with cultural and generational differences, weddings are taking on a whole new style. The most important thing to remember as a guest is that a wedding is not about you and you don’t want to do anything to embarrass the bride and groom or stand out in the crowd. 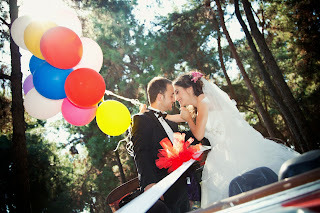 With a few simple tips, you can attend future weddings with class and confidence. Attire. Since most brides are still wearing white or pastel wedding dresses at formal and semi-formal weddings, a guest wearing white is usually not a great choice. If you know the bride and you are certain she is wearing a colorful gown, it may be an option, but use your best judgment. Wearing black was once the wrong thing to do, but black has become a safe and staple color for most every occasion. The perfect little black dress with the right accessories may be acceptable. Do not wear a risqué black dress that may upstage the bride. Keep it simple and dress with style. Gifts. If you are invited to a wedding, the odds are you know the bride or groom quite well and you should give a gift whether or not you attend. 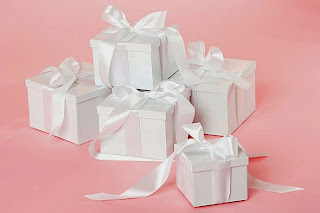 As well, if the bride and groom have indicated a gift registry on their invitation, that means they have carefully selected the gifts they would like to receive. You should choose a gift from their gift registry, not something you think the bride and groom might like or something you like. Show you care and give a gift the bride and groom personally picked out. Bringing a Guest. Bringing an added guest to a wedding should only be considered if the invitation specifies a plus one or the RSVP includes a line for the number of guests. When it comes to the food, cake, beverages and tableware, the wedding planners heavily rely on accurate RSVP’s so they can be prepared. Not to mention how expensive it is for each additional wedding attendee. If the RSVP does not indicate additional guests are invited, do not bring a guest. If you are in a committed relationship with someone and the bride and groom are aware, it may be appropriate for both of you to attend. Be sure to complete RSVPs in the timeframe requested. Arriving Late. Make every effort to arrive at a wedding early or on time. If you arrive more than 10 minutes late, assess the situation. Has the procession started? Will it be noticeable for you to find a seat or be escorted to one? If it is appropriate, quietly slip in. If it is too late, do not interrupt the wedding. It is not generally acceptable to attend only the reception, but it would be better than making a scene. If you are very late, wait for the reception to make your appearance. Bringing Your Own Alcohol. With the exorbitant costs of hosting a wedding today, some couples have decided to take the BYOB route in order to save a good chunk of change. While they may still choose to provide a couple basic choices of beer and wine, they may specify on the invitation that you are free to bring whatever it is you would like to sip on. If you are attending a BYOB wedding, be sure to bring everything that you may need to make your drink of choice. If you enjoy indulging with a margarita on the rocks, don’t assume they will have fresh limes for you to use. The whole idea of a BYOB reception is to save the bride and groom some time, money and hassle, so be sure to show up prepared and ready to have a good time. Questions for The Wedding Planner. It is easy to love a beautiful gown, an exquisite wedding ring, or lovely room or garden décor, but the wedding is neither the time nor place to drag information out of the bride or groom. Look for a business card or signature with the name of the caterer, or you might be able to ask a bridesmaid, groomsman, or someone seated at a table with you about what you’ve seen. Chances are the wedding coordinator will be pretty easy to spot, as they will be standing by to ensure a smooth and memorable event. If they are idle, you might be able to comment on the event and retrieve more information. It’s never a good idea to bombard the bride and groom with questions on their special day. Weddings are some of the most special occasions and staying current on wedding trends and updated on wedding etiquette can save you from an embarrassing moment and keep you on good terms with the bride and groom for years to come. Take the time and make the effort to do the right things when it comes to being a well-mannered wedding guest.